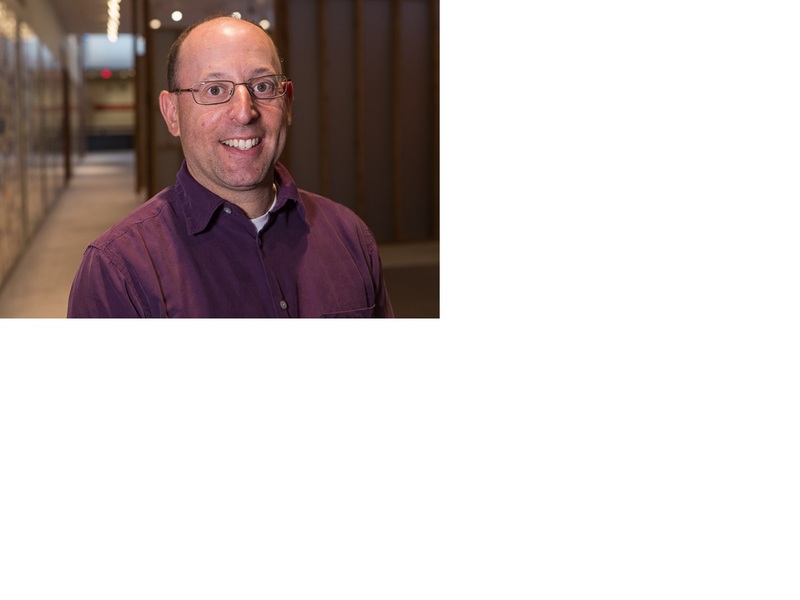 Alan Marcus is an Associate Professor in the Department of Curriculum & Instruction and is a University of Connecticut Teaching Fellow. His scholarship and teaching focus on history museum education and teaching history with film, with an emphasis on World War II and the Holocaust. Alan collaborates with museum educators across the United States and internationally, is a Faculty Fellow for the Holocaust Institute for Teacher Educations at the United States Holocaust Memorial Museum, and runs an education abroad program for pre-service teachers in Nottingham, England. Alan earned his Ph.D. from Stanford University in curriculum and teacher education. Prior to attending Stanford he taught high school social studies in Georgia. He is a co-author of “Teaching History with Museums: Strategies for K-12 Social Studies” (Routledge, 2017) and “Teaching History with Film: Strategies for Secondary Social Studies” (Routledge, 2010), and co-editor of “Teaching Difficult History Through Film” (Routledge, 2017). Alan is the past president of the Connecticut Council for the Social Studies and most recently was a lead writer for the State of Connecticut Social Studies Frameworks. His current research is in collaboration with the UK National Holocaust Centre and Museum evaluating the potential and limitations of virtual interactive Holocaust survivor testimony. Hollywood History in High School: the relationship between teachers’ use of film and students’ perceptions and understanding of history. Stoddard, Jeremy D., Marcus, Alan S., Hicks, David, Mills, Gary, McGregor, Ian. (in press 2019). “’It is second best’: Exploring the educational and ethical implications of artificial intelligence and survivor testimony for Holocaust education.” Learning, Media, & Technology. Marcus, Alan S. (2018, May). “Why we need to rethink how we teach the Holocaust” The Conversation. Marcus, Alan S.; Metzger, Scott Alan. ; Paxton, Richard J.; Stoddard, Jeremy D. (2018) Teaching History with Film: Strategies for Secondary Social Studies. 2nd Edition. New York: Routledge. Marcus, Alan S. (2017). “Teaching The Holocaust Through Film.” Social Education. 81 (3) 172-176. Marcus, Alan S. Stoddard, Jeremy, & Woodward, Walter W. (2017). Teaching history with Museums: Strategies for K-12 social studies. 2nd Edition. New York: Routledge. Stoddard, Jeremy, Marcus, Alan S. & Hicks, David. (Editors) (2017). Teaching Difficult History with Film. New York: Routledge. Paxton, Richard J. & Marcus, Alan S. (2017). Film, Media, and Popular Culture in Historical Learning in: Scott Metzger & Lauren Harris (Eds.) International Handbook of History Teaching and Learning. Wiley-Blackwell Publishers. Marcus, Alan S. & Mills, Gary. (2017). Teaching Difficult History with Film: Multiple Perspectives on the Holocaust in Teaching Difficult History with Film, Stoddard, Jeremy, Marcus, Alan S. & Hicks, David. (Editors). New York: Routledge. Stoddard, Jeremy D. & Marcus, Alan S. (2017). Media and Social Studies Education: The (Re)Emergence of Film, New Media, and Gaming in Handbook of Social Studies Research. Meghan Manfra and Cheryl Bolick (Eds.). Hoboken, NJ: Wiley-Blackwell Publishers. Marcus, Alan S. & Kowitt, Jennifer. (2016). “Museum Footnotes: Helping Student Visitors Understand Museums.” Journal of Museum Education. 41 (4). 353-362. Marcus, Alan S. & Moss, David (2015) Enhancing Intercultural Understanding for Pre-service Teachers through Developing and Sustaining Education Abroad Experiences. The Journal of International Social Studies. 5 (2) 22-37. Stoddard, Jeremy D., Marcus, Alan S. & Squire, Kurt. (2015). Learning Local Immigration History In and Out of the Museum. Museum & Society. 13 (1). Moss, David M., Marcus, Alan S. (2015). Over there: Exploring a WWII themed short-duration study abroad program for pre-service teachers. In David Schwarzer & Beatrice L. Bridglall (Editors) Promoting Global Competence and Social Justice in Teacher Education. Rowan & Littlefield Publishers. Stoddard, Jeremy D., Marcus, Alan S., Hicks, David. (2014). The Burden of Historical Representation: The Case of/for Indigenous Film. The History Teacher. 48 (1). Maley, Cory & Marcus, Alan S. (2013) We need to talk: Improving dialogue between social studies teachers and museum educators. The Social Studies. Marcus, Alan S., Grenier, Robin, & Levine, Thomas H. (2012). How secondary history teachers use and think about museums: Current practices and untapped promise for promoting historical understanding. Theory and Research in Social Education. Marcus, Alan S. (2011). From The Civil War to 9/11: Democracy and the Right to a Fair Trial. Social Education. 75 (4), 196-198. Marcus, Alan S. & Levine, Thomas H. (2011) Knight at the Museum: Learning History with Museums. The Social Studies. 102 (3), 104-109. Marcus, Alan S. & Levine, Thomas H. (2010) Remember The Alamo? Learning History with Monuments and Memorials. Social Education. 74 (3), 131-134. Marcus, Alan S. & Stoddard, Jeremy D. (2010). More Than “Showing What Happened” Exploring the Potential for Teaching History with Film. High School Journal. Levine, Thomas H. & Marcus, Alan S. (2010) How the structure and focus of teachers’ collaborative activities facilitate and constrain teacher learning. Teaching and Teacher Education. 26 (3), 389-398. Marcus, Alan S. & Stoddard, Jeremy D. (2009). The inconvenient truth about teaching history with documentary film: Strategies for presenting multiple perspectives and teaching controversial issues. The Social Studies. 100 (6), 279-285. Marcus, Alan S. & Monaghan, Margaret. (2009, Spring) Tasting the fluoride: Feature film, women’s history, and modern-day critical consciousness. Social Studies Research & Practice. 4 (1). Marcus, Alan S. (2008, Spring) Museum and school collaboration: Rethinking adult education for K- 12 teachers. Journal of Museum Education. 33 (1), 55-78. Marcus, Alan S. (Ed). (2007) Celluloid Blackboard: Teaching History with Film. Information Age Publishers: Charlotte, NC. Marcus, Alan S.; Stoddard, Jeremy D. (May/June 2007) Tinsel Town as Teacher: Hollywood Film in the High School History Classroom. The History Teacher. Levine, Thomas H. & Marcus, Alan S. (2007, Fall) How schools close the achievement gap: Facilitating multiple trajectories of teacher learning. Journal of Advanced Academics. 19 (1), 116-138. Marcus, Alan S. (2007) Representing the Past, Reflecting the Present: Museums, Memorials, and the Secondary History Classroom. The Social Studies. 98 (3). 105-110. Marcus, Alan S.; Paxton, Richard J.; Meyerson, Peter (2006, Fall) “The reality of it all:” History students read the movies. Theory and Research in Social Education. Marcus, Alan S. (2005, March/April) “It is as it was:” Feature Film in the History Classroom. The Social Studies. 96 (2) 61-67. University of Connecticut Teaching Fellow. Director. Understanding Global Perspectives in History and Education. Created and lead semester-long program for UConn pre-service history teachers in Nottingham, England. Fall 2015-present. Editorial Board Member, Canadian Social Studies. 2012-present. Past President and Board Member, Connecticut Council for the Social Studies. Neag Social Studies Alumni Association (NSAA). Founder and faculty sponsor. It’s All in the Historical Record – But Whose?